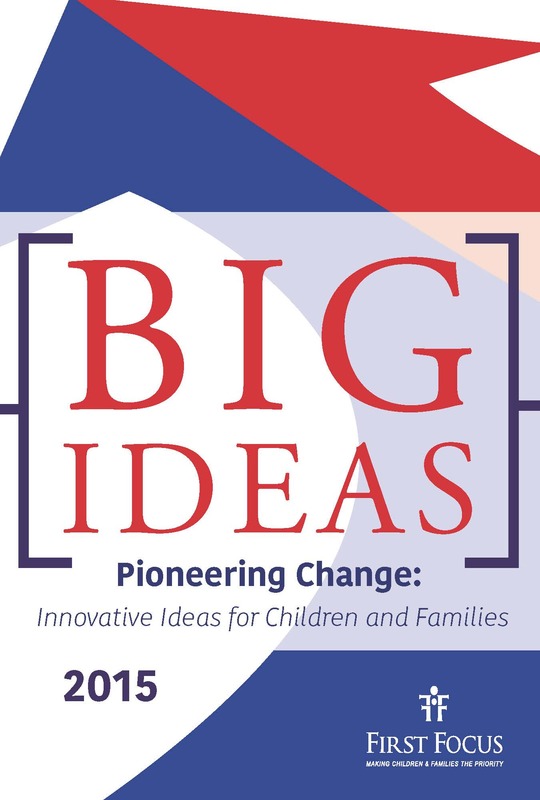 The latest in our Big Ideas series, Pioneering Change: Innovative Ideas for Children and Families offers 14 ideas from leading lawmakers, children’s advocates, and policy experts outlining how to make America a better place to be a child and raise a family. This publication is available for immediate download as a PDF, or you can request hard copies here. Roth IRAs for Kids: Little Savers, Big Results by Congressmen Rubén Hinojosa and Steve Stivers. Coordinating Comprehensive Healthcare with Home Visits for New Families: A Case Study of Home Visitation Integration with the Family-Centered Medical Home at Carolina Health Centers by Katy Sides, Institute for Child Success with assistance from Sally Baggett, Caroline Health Centers, Inc.